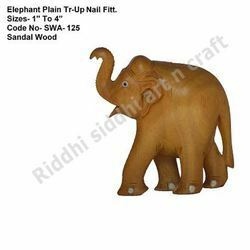 Providing you the best range of sandalwood elephant statue, elephant statue, handmade sculpture, handmade wooden elephant, sandalwood statue and wooden elephant statue with effective & timely delivery. Santalum Album, or Indian Sandalwood, is a threatened species. It is indigenous to South India, and grows in the Western Ghats and a few other mountain ranges such as the Kalrayan and Shevaroy Hills. 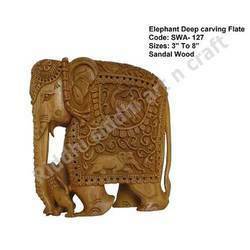 Sandalwood from the Mysore region of Karnataka (formerly Mysore), and marayoor forest in Kerala, southern India, is high in quality. New plantations were created with international aid in Tamil Nadu for economic exploitation. 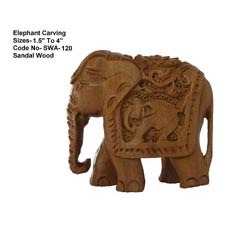 Sandalwood is expensive enough so that, unlike most trees, it is harvested by removing the entire tree instead of sawing it down at the trunk close to ground level. This way, wood from the stump and root can also be used. 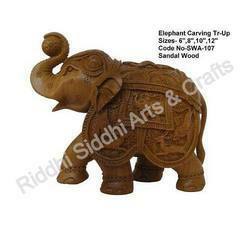 Sandalwood has a distinctive soft, warm, smooth, creamy and milky precious-wood scent. It imparts a long-lasting, woody base to perfumes from the oriental, woody, fougère, and chypre families, as well as a fixative to floral and citrus fragrances. Packaging Details: 1) Carefully pack the beads in plastic bags. 2) Finally packed in corrugated box. Packaging Details: Carefully packing in bubble papers and finally packed in corrugated box. 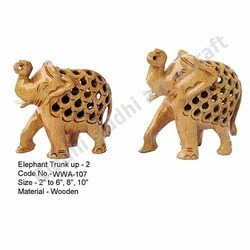 We are engaged in manufacturing wide range of Lakh Decorative Item like Elephant Statue. 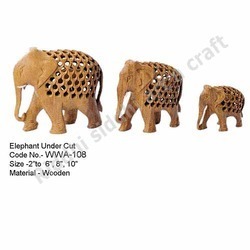 These are very to maintain and assures long lasting performance. 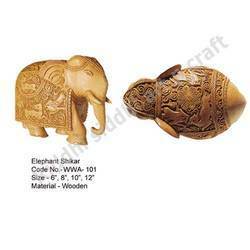 With the availability in the market at cost effective rate, these are one of the first choice of our clients.